We enjoyed our visit to Scotts Bluff National Monument. At the visitor’s center we looked at the displays and watched an informative video. This distinctive formation was in Indian Territory and a landmark well known to many tribes. The pioneers followed the North Platte River as they journeyed westward. They could see these formations for days as they traveled across the prairie. This route is known as the Oregon Trail and was also part of the Mormon Trail. The Pony Express also rode through the area. 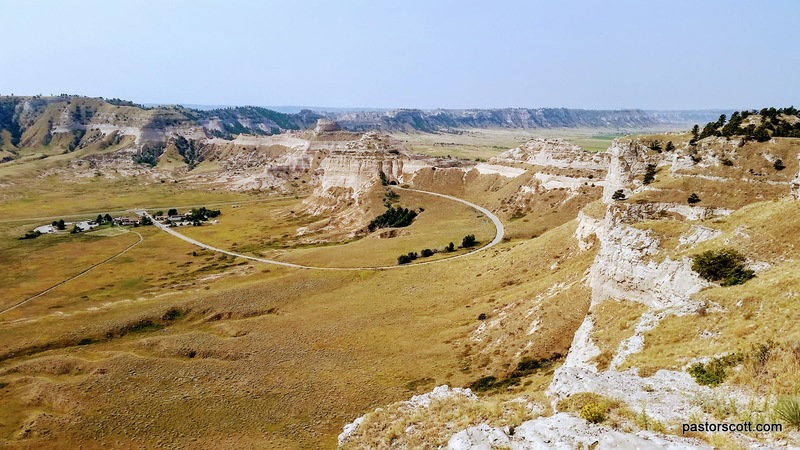 As many travelers before us, we could see the Bluff as arrived in the area, and as travelers have for generations, we camped near the base of Scotts Bluff. Unlike those early travelers, though, we drove a twisting road through tunnels and with increasing vistas to the top. The view is amazing. We walked to various overlooks, thoroughly enjoying the scenery spread out below. I’m glad we were able to visit a place we have heard of most of our lives. 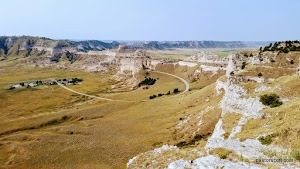 This entry was posted in Jackie and tagged history, National Park, Nebraska, review, sightseeing. Bookmark the permalink.